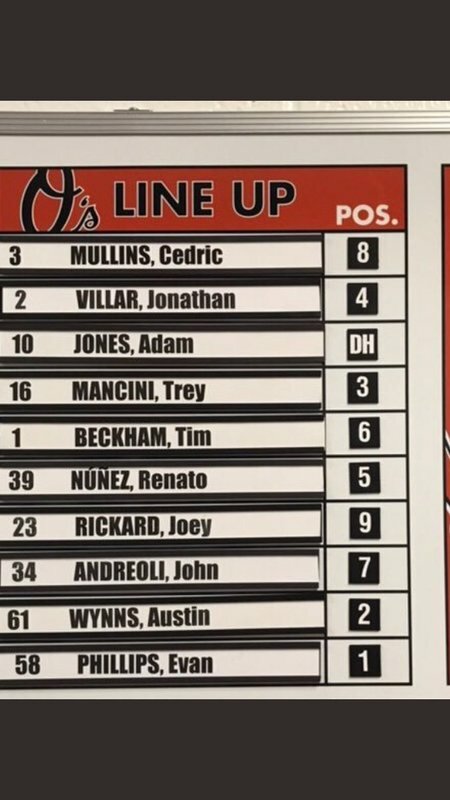 The Orioles open a three-game series against the Toronto Blue Jays at Camden Yards. 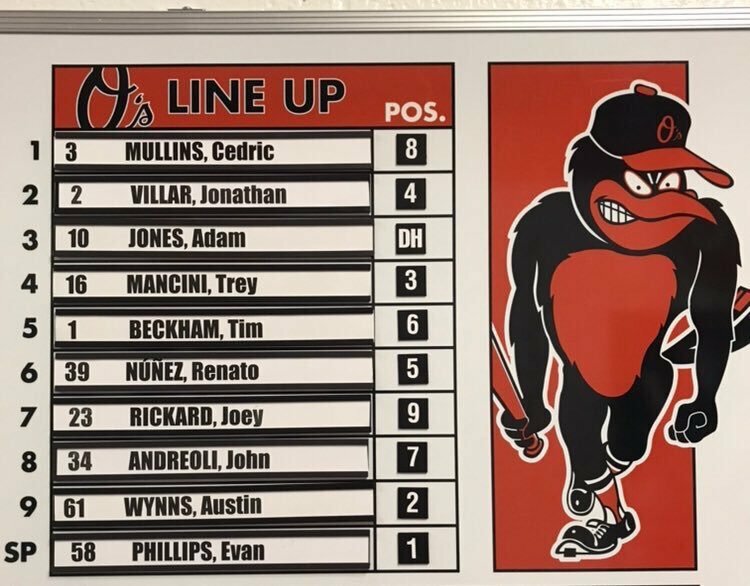 Buck notes: #Orioles will make a second lineup chancge; Sisco unavailable because of cut and concussion protocol; Whatever you want to call it, opener/piggyback/tandem, it’s being done more out of necessity than strategy. 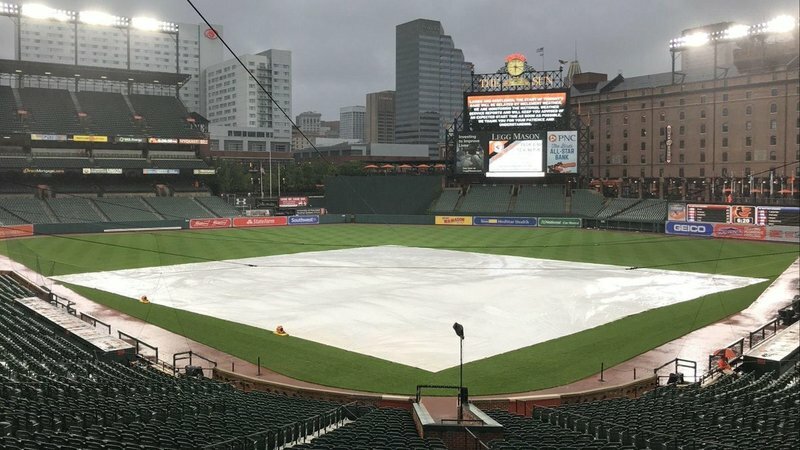 Orioles announce tonight's game will not start on time. Start of tonight's #Orioles -#BlueJays game will be delayed. Evan Phillips had a 1-2-3, 13-pitch first inning with two strikeouts for the Orioles. And the #Orioles trail 1-0 after a RBI single by Tellez. Danny Jansen hit a high home run to left field and the Orioles trail 3-0. Gilmartin entered the game in the third and worked around a one-out single by Gurriel for a scoreless inning. #Orioles trail #BlueJays 3-0. 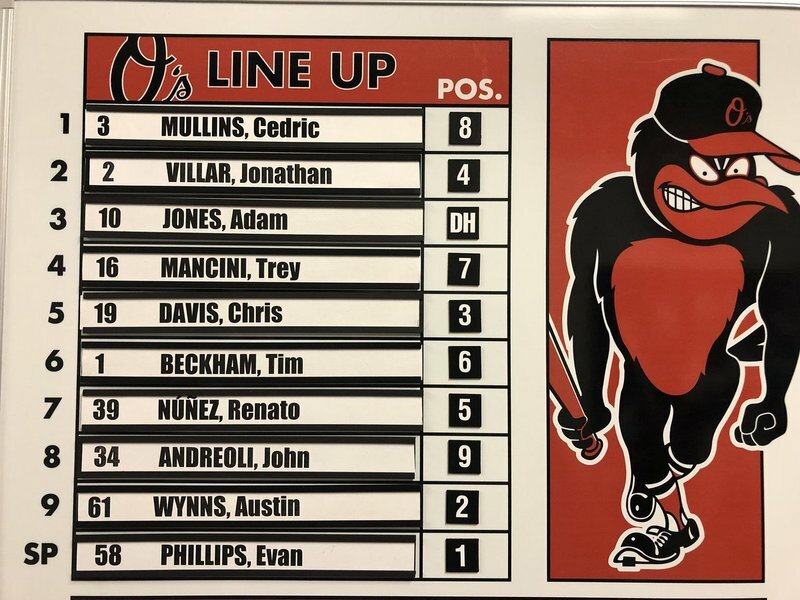 Nunez with a leadoff single in the third for the #Orioles ' first hit of the night. Replay shows Gurriel had Wynns' line drive in his glove, let ball hit ground (looks like on purpose) and turned double play. Buck came out to argue, but to no avail. After Mullins grounds out, inning is over. #Orioles trail #Bluejays 3-0. Jonathan Villar singled and stole two bags in the fourth, but did not score. The Orioles trail 3-0. Sean Gilmartin's three scoreless innings of relief have his ERA down to 3.26 in 19 1/3 innings, lowest of anyone in an Orioles uniform this year not named Danny Valencia or Richard Bleier. They trail 3-0. Four scoreless innings for Sean Gilmartin in relief. He's retired 12 of 13. #Orioles trail 3-0 after 5 1/2 innings. 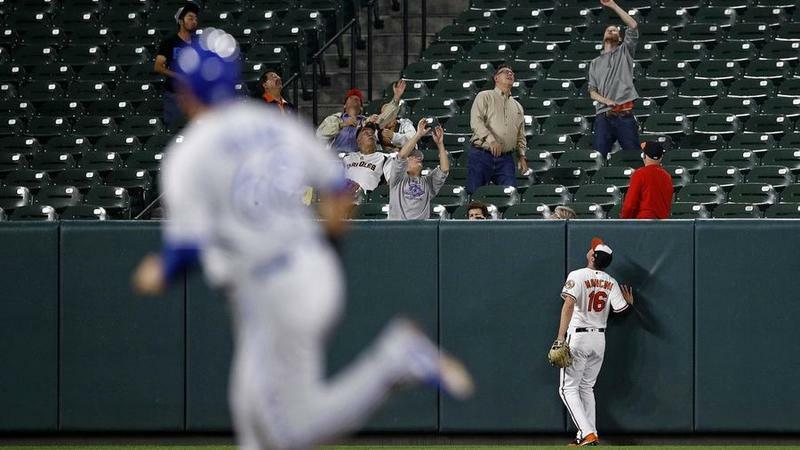 Chris Davis just knocked Ryan Borucki's glove off with a 96 mph ground ball up the middle, but the Jays' pitcher tracked it down and threw him out from near second base. That kind of day/season/life. Aledmys Díaz gave Toronto a tack-on run with a homer in the ninth. The Orioles trail 5-0. The Orioles lose, 5-0, tie team record of 107 losses. How'd they do it? None of their pitchers (Phillips/Gilmartin/Carroll), nor the three players who had a hit (Villar/Núñez/Andreoli) were in the organization to open the season, or on roster before the All-Star break. 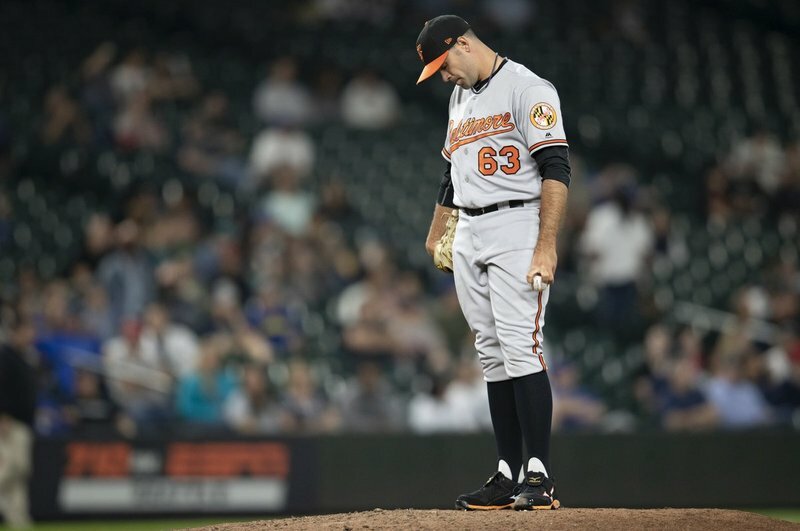 #Orioles lose their 107th game, tying the franchise record for most in a season set by the 1988 O's, after 5-0 loss to #BlueJays . O's had just three hits. Evan Phillips started, allowed three runs in 2nd. Gilmartin was good in relief, nothing much else was. 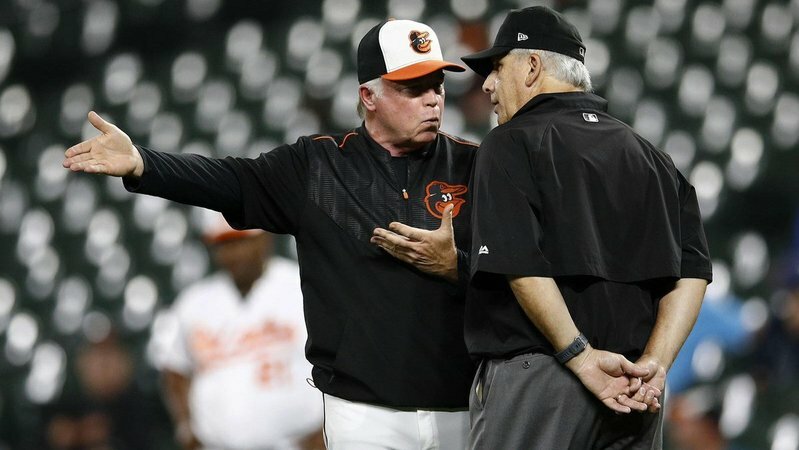 The #Orioles matched their franchise record for most losses in a season tonight with No. 107 tonight. "It was embarrassing. It was frustrating. It’s one of those things you never want to be associated with."